Sorry for the short entry. 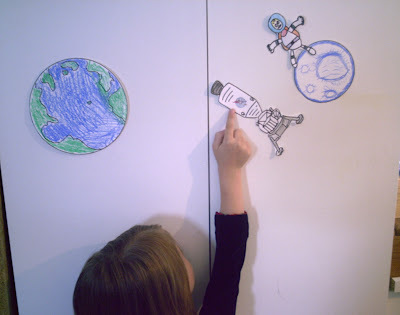 Busy drawing rockets and astronauts with my kids. This is our Lunar-Landing Advent Calendar. We're having oatmeal in plastic baggies and Tang for breakfast tomorrow!